Cat Litter Box Problem? Is cat going everywhere in the house? 2 Embarrassing Odor Caused by Your Cat Litter Box? 3 Cat Urinating, Over, Around Litter Box? 4 Cat Litter Box Problem? 5 Litter Box Too Short or Shallow to work properly? Embarrassing Odor Caused by Your Cat Litter Box? Cat Urinating, Over, Around Litter Box? Litter Box Too Short or Shallow to work properly? Do You have a Cat Litter Box Problem? I’ve tried all kinds of litter boxes, the corner litter box, the top opening litter box, giant litter box, covered, hooded…none of them worked. I’ve spent a small fortune on litter boxes attempting to solve the problem. The most common problem stated that causes cat owners to euthanize or give their pet away is, cat urinating outside the litter box. box too dirty for the cat or is the type of litter repelling it? 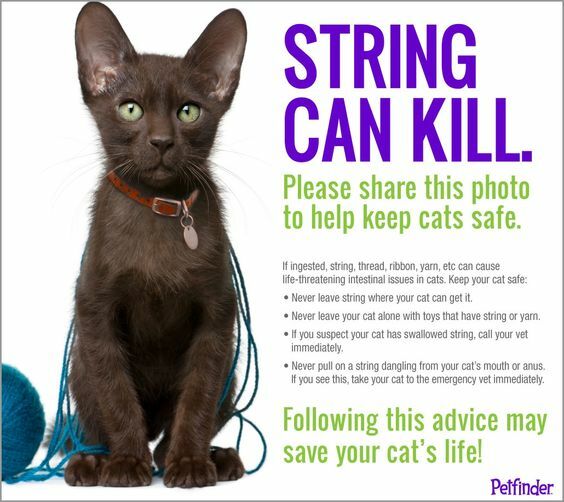 suddenly is not using the litter box or meowing while eliminating, have it checked by your vet. There may be a health concern that needs to be corrected. Once a health issue has been ruled out…. Dealing with box odor can be a cat litter box problem. 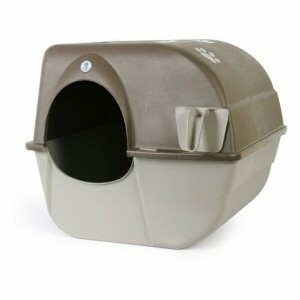 Covered litter boxes are supposed to filter and reduce odor, but they tend to hold more odor. Most cats also find the odor unappealing and will not enter the box, they are also repelled by the perfumes and deodorizing pellets found in some litters. Additionally, if you use a bleach, strong disinfectant or ammonia the lasting odor could also deter your cat from using the box, hence going outside, around the litter box, or on the carpet. Dirty litter boxes, pans or trays may be the cause of many litter box behavior problems. Adding baking soda to the litter may cause health issues for some cats because of its high sodium content, and when cats cover up by scratching they have a tendency to breathe the baking soda which is not healthy, so be aware. Keep litter boxes away from air ducts, furnaces and noisy appliances may that start automatically while your cat is using it, which may cause the cat to be startled enough to make it go elsewhere. Most litter boxes, pans and trays are designed for our convenience and not the cats. They are too small, shallow and narrow. An ideal box should be deep, tall and large enough for the cat to circle around within, with ease. Its sides should be high enough to prevent splattering on the wall. Medium to large cats, need larger pans or boxes. Cleaning your litter box should be a relatively easy job. Use a mild cleaning solution like ivory soap or liquid castile soap, never cleaners like Lysol, bleach, ammonia and really rinse it well!!! Remember cats have a keen sense of smell and if they smell a lingering perfume odor, they won’t use the box. 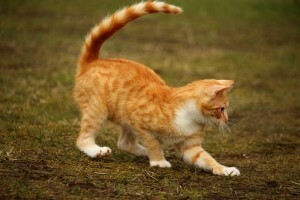 Ideally, you should keep an eye on your litter box to determine when it is necessary to clean. For some cats, once a week is fine. For others it may be too long. Try and remove any waste on a daily basis, surely every 2 days. This will ensure that there will be no problems with your cat going elsewhere in the home, and avoiding the cause of odor. Litter box size is extremely important as well as keeping it clean enough for your pet. HELPFUL TIPS: Leave your old cat litter box available for the cat until it gets used to the newer one. Buy the larger size to provide ample room for the cat to turn around and use the box properly. The Best Odor Elimination Product I have used and Recommend. It really gets the odor out and the cat does not urinate in the same spot again and again..
What are the Pros & Cons of a Self Cleaning Litter Box? hassle. This is especially true for families with small children or other day to day responsibilities that keep them busy. One of the pleasures of owning a cat is the ability to leave it for an extended period of time without worrying that it will be able to care for itself, or create a cat litter box problem. They are very self sufficient, and given enough food and water can often be on their own for a very long time. self-cleaning litter box into the picture. It is perceived that self-cleaning litter boxes do most of the dirty work for you, literally. No more constantly having to remember if you’ve cleaned the box or not… or if your child has remembered to do it as one of their daily chores. It is simply done for you. 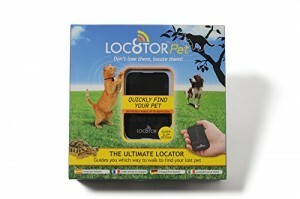 This is a joy not only for the cat owner, but for the pet as well. They have a more sanitary environment. They are able to keep themselves cleaner, and are happier and more at ease. It seems as if everybody wins. The downside of self cleaning litter boxes is that sometimes they may create more work and mess for someone to clean, which does not solve the cat litter box problem. Additionally, in some models the mechanisms jams, and it may leave waste in areas of the tray. The cost of the carbon filters, waste trays and liners are ongoing expenses in addition to the litter. Therefore one must take these aspects into consideration when deciding which type of litter box to select. Most importantly the decision should be based upon the simple and better quality of life for both the owners and the felines they love and to eliminate the cat litter box problem. Is your litter box too short, shallow, just doesn’t work? Does your cat stand or squat higher than your litter box? Does your cat propel what’s in the box to the outside? Does your cat mess your Bed? You’ve also eliminated the possibility that your cat is ill, then for sure …..
What is causing the cat litter box problem? Your cat is attempting to communicate in the only way it knows how, that whoa…something is wrong here, I need help, fix it please. Could the size of the box be inadequate? Are the sides high enough to keep stuff in? Is there room for the cat to easily walk around inside and properly cover things up? As I’ve stated….I’ve tried all kinds of litter boxes, the corner litter box, the top opening litter box, giant litter box, covered, and hooded….none of them worked. I’ve spent a small fortune in litter boxes attempting to solve the problem. I finally came up with an idea that “worked.” I call it “The Litter Box Problem Solved” Litter box. No more urine on the floor or the wall, because my male cat stands up when he goes. All of the previous boxes were “too low” or “too covered or confined” for him. My cat litter box design allows him to walk in, have light from the room, privacy and tall enough to catch the urine that used to go over the box and onto the wall. Some cats just won’t go into a dark covered hole, on the top opening litter box. What about jumping 2 feet into the air to get to the opening. This is certainly not good for older cats. My design was developed out of necessity. Easy instructions for creating your own cat litter box. Choose any color to match your decor. Remember litter box location is very important. It should not be put in busy areas, hallways, or areas frequented by another aggressive animal, next to a noisy dryer, under a busy sink or definitely not next to its food. Get the instructional report now!! STOP your cat from urinating around and over its litter box while creating a smelly mess!! Join our mailing list and I will send you the free Directions for creating a litter box that will solve your problems. It is called the Litter Box Problem Solved Report. Just place the word REPORT after you list your email address.